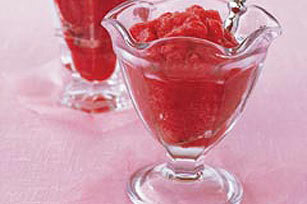 For sweet, refreshing deliciousness, let this quick-to-make strawberry granita treat top the list of your must-try recipes. Makes 1 qt. or 8 servings, 1/2 cup each.